Alan Duncan, managing director of InterMoor Ltd, said: "I would like to recognise our entire team for this exceptional performance. 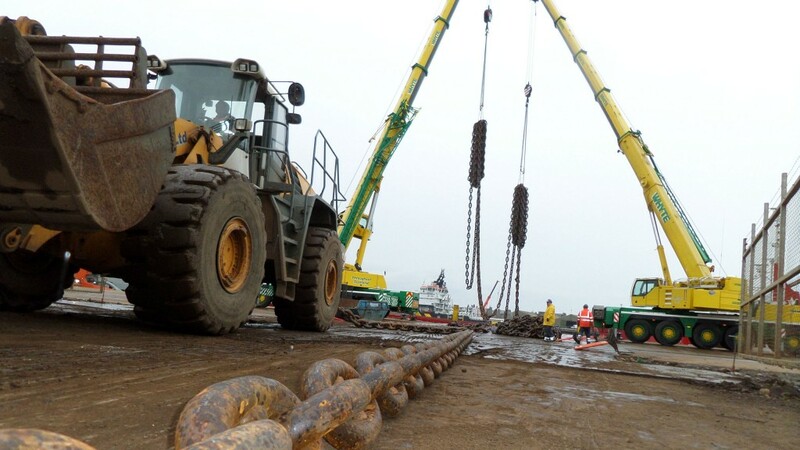 Operating 3,653 days without any LTI is nothing short of remarkable in our line of work, since InterMoor's business involves handling extremely heavy mooring equipment, weighing up to 260 tons, in difficult and sometimes dangerous conditions. "This is a testament to our rigorous safety processes and training programs, and our employees' commitment to always put safety first." Bruce Strachan, InterMoor Ltd quality assurance and health, safety, and environment, manager, added: "Such an outstanding record could never have been achieved without great team work. From marine labourers, mooring chain inspectors to mariners and senior management, every team member has been dedicated to always making safety a priority and participated in our culmination of over two million man hours with zero accidents or incidents. "This 10-year No-LTI achievement is something we can all be very proud of. We aim to continue our incident-free operations, to nurture our solid safety culture and to ensure that our employees are always safe." Coretrax, an engineered servicing company for wellbore clean and abandonment, has marked an important milestone with the setting of its 200th CX-2 bridge plug.